One of our most luxurious & comfortable styling chairs with removable bottom cushion, tufted seat and back, tack head accents, and old-world styling that together are sure to bring a rich look to any space. 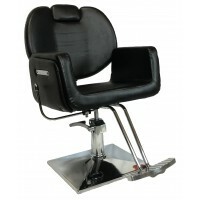 This all purpose salon chair is stylishly designed to deliver years of performance. 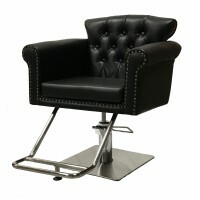 Its top-qu..
One of our most comfortable styling chairs and features a large, removable bottom cushion, tufted se..